Cabbage soup has been touted as modern weight-loss magic as well as a cure for the common cold. 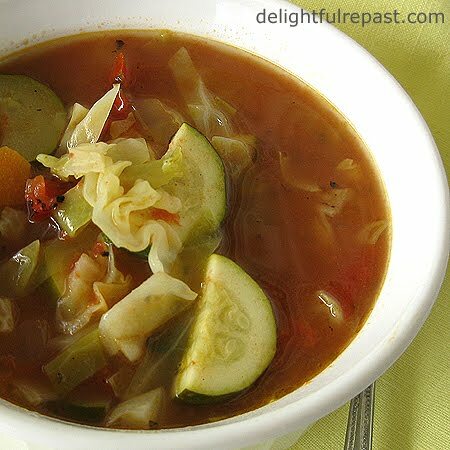 Even if you don't need a trendy diet or an age-old folk remedy, you can appreciate a steaming bowl of cabbage soup on a cold winter's evening. I was craving it, so I would have made it anyway, even if I hadn't been looking for excuses to use my new chef's knife. A good chef's knife is the most important knife in any collection. That, a paring knife and a bread knife. Three good ones are better than a whole drawer (or block) full of cheap knives. I had been intending to buy an 8-inch chef's knife for some time, when the Wusthof Classic 8-Inch Cook's Knife 4582 was sent to me for review. This knife is the perfect size for me--large enough for any task, but not so large as to be hard to handle. The high-carbon stainless steel blade is very sharp and cuts everything with ease. Perhaps even more important, to me anyway, than the business end of a knife is the handle. I love the way the Wusthof Classic handle feels in my hand, whether I'm using the all-fingers-on-the-handle grip or the thumb-and-index-finger-on-the-blade grip. It's supposed to be dishwasher safe, but I am in the habit of hand washing and drying my knives immediately after use. 'Sides, we've only had a dishwasher for a couple years and my husband assures me things aren't being whirled around in there, but I don't really believe him! I hope you'll get out your favorite knife, cut up some stuff and make this soup, then tell me all about it. 1 In 5 1/2-quart Dutch oven (I use Le Creuset Round French Oven), heat olive oil. Add the onions and cook over medium heat for about 10 minutes. Stir in the carrots and continue cooking for 5 minutes. 2 Add broth, water, tomatoes, cabbage and seasonings. Bring to a boil; reduce heat and simmer, partially covered, for 30 minutes. 3 Add zucchini. Continue simmering for another 30 minutes. Taste and adjust seasoning. Thanks, Judy. I like cabbage anyway, but especially in soup. Do give it a try! Sully, I would tell you that you need to increase your fresh fruit and vegetable intake and start eating a balanced diet of organic food like I do, but you have far more energy than I do. Maybe you're onto something! One of these days I'll be ready to buy good knives... that one looks beautiful! It's been an age since I've had cabbage soup and it sounds strangely good right now. Have you ever tried freezing it? We mostly batch-cook for the freezer these days and I'm wondering if this dish might work out for that. Thekla, that's a great idea! I haven't done it yet, but I know you can freeze cabbage soup. Just cool the soup first (I'm sure you know that!) and pour into containers. You could use quart containers for a couple servings. I clicked through to yours....and I love it! I've signed up to be a follower. I joined you in a cup of Yogi Peppermint tea this morning and enjoyed my tea bag affirmation of 'Live by intuition and consciousness'. Thanks, Sue! That's a good "tea bag affirmation." I've always relied on my intuition and consciousness. Could I get a bowl right now? Thank you for visiting! Everything is better with organic vegetables! I made your cabbage soup tonight and it was terrific! Yummy, yummy, yummy. I was surprised at how much flavor it had. I think the fire roasted tomatoes really gave it a nice backbone. My wife also loved it and my dad who is staying with us liked it so much he went back for seconds! Now that's saying something. He's vegan so I used "no chicken" broth but it was great even still. I served it with some grilled Rocky chicken sausages (not for my dad) along with crusty sourdough bread. I also had a glass of Malm Sonoma coast pinot noir to top it off. Great dinner! I'll be adding this to our regular dinner rotation. Thank you so much, Richard! I'm glad you liked it. It sounds like you rounded out the meal just as I would like. Haven't tried Malm Cellars yet, but I'm sure their pinot is wonderful. 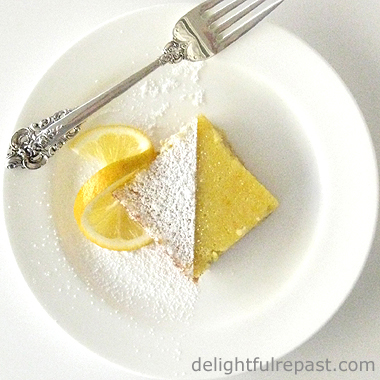 What I like about this recipe is its versatility! If you don't like a certain veggie, you can switch it out. I'm definitely going to try it out! Thanks, Teryll. Good point--versatility! Yes, you can use whatever you have on hand, whatever's in season. Thanks so much, Jo! The soup was actually steaming when I was taking the photo, so I was afraid it would just come out unclear. I love soup-had vegetable for lunch today. Your recipe sounds gorgeous! Jane, thank you! Hope you can try it soon. I like to think of someone there in Jane Austen country making my recipes! I have an absolute knack for picking the WRONG knives ~ and I've got a drawer full of them!! The soup looks awesome!! Thanks, Donna! And I'm glad to know I'm not alone in having some real dogs in my knife drawer! I went on that stupid cabbage soup diet back in the 90s. It was horrible. I don't think the soup was anything like this, though. It's probably time I gave it another chance. I actually love cabbage. OK, I'm copying this now. Anne, I know a lot of people who tried that diet. Diets never work, in the long run, do they? Hope you like this soup. Last night my wife asked me when I was going to make your cabbage soup again. She said " I LOVE it, make LOTS!" Thank you, thank you, thank you! You (well, your wife) made my day! I love to think of people in different places enjoying my recipes.